You are currently browsing the tag archive for the ‘Pregnant Pictures’ tag. Does this picture need more explanation?? Read on to find out! There have been quite a few beautiful pregnancy photo shoots floating around in my slice of the internet lately. I love photos of pregnant woman. I think they are not only beautiful, but such a touching reminder of such a fleeting time. I loved being pregnant and loved my pregnant belly, and I LOVE the photo above. But I really regret not having those lovely black and white, softly lit images for myself. Now, want a little more info on that picture above?? This is a very pregnant me visiting the riders on the AIDS Lifecycle charity ride from San Francisco to LA (585 miles over 7 days). ALC supports AIDS research and services, and thousands of riders participate raising millions of dollars each year. 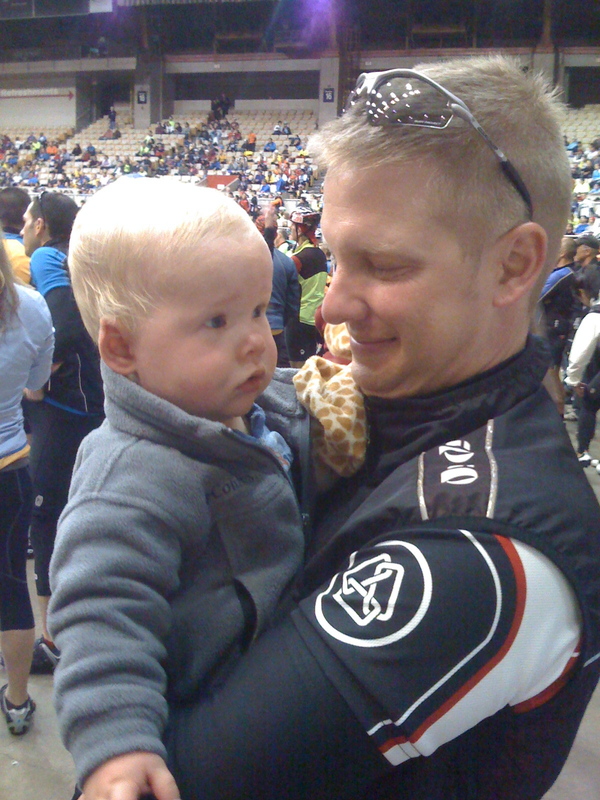 I have done the ride twice (pre-kids), my husband has completed 6 rides and my 60+ dad has rocked out 7 rides so far and is ready to go on his eighth ride this June (want to support him? Click here to donate!). I was visiting my husband and his friends at the end of Day 5, also know as Red Dress Day, This is my good friend and yes… he rode his bike in that outfit! ALC is an amazing organization, that does amazing things and I am honored to be associated with the organization and the riders.